In a well-designed training plan, a weekly long run should not leave you depleted for the following week of training. 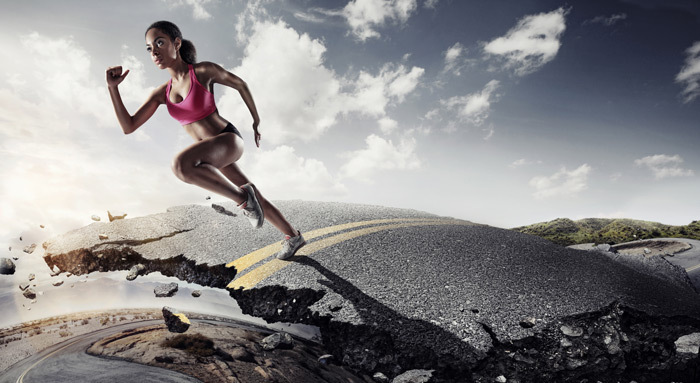 Yet many runners make the mistake of running so hard on the Sunday or Saturday long run that they can’t get any quality training done for the following six days and so they’re only scoring 1-out-of-7 on the training they could be doing, says TempoFit head coach Hayden Shearman. One epic long run done at a steady pace with only short, niggly, hobbling runs for the remainder of the week. A week consisting of one long run done at an easy pace, plus a medium long run, two speed sessions and some more easy recovery runs. You don’t have to be an exercise scientist to work out which week will have the preferable long term training affect and also what option will keep the runner motivated and excited about their running. 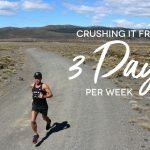 I can only think of two situations where the first approach would be preferable and they are when training for an ultra marathon (the weeks of your peak long runs) and when a beginner marathoner is doing their peak long runs. Otherwise it’s much more preferable to finish your weekly long run (or LSD—long, slow distance run—as many people call it) feeling suitably fatigued, but not so fatigued that a relaxed afternoon, a good lunch and a full night’s sleep can’t fix it. The effects of your Sunday long run should only just linger into your Monday recovery session or rest day and be almost forgotten by Tuesday. 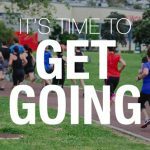 Certainly by the Wednesday you should be feeling like you could do another long run or jump into a good solid workout or even race. Why? To avoid injury and improve speed. So, to avoid this LSD hang over, how should we approach our long runs? The long run should almost always be at a conversational pace. It is designed to develop your aerobic capacity (i.e. the ability of your body to process oxygen). Running faster only serves to put you into oxygen debt and therefore run shorter—meaning less time developing your oxygen processing capabilities. We are after “time on your feet” in our long runs, so take it easy. Chat to someone the whole way and save the speed for the faster workouts you have planned for the week ahead. Nothing kicks off an LSD hang over like a sudden jump in long run distance. The 10 per cent rule (only increasing your long run by a maximum of 10 per cent or 1km) is tried and tested. So assuming you were comfortable running 15k last weekend, you should bounce back fine by running 16.5k this weekend. Just like our bodies crave consistency, they also crave a little time to catch up. So I insert an easy week every fourth week to my training. My long run progression over the last three weekends might be something like 20k, 22k, 24k. Then on the fourth weekend I’ll drop it down to 15k to give my body a true recovery and a complete break from any LSD hang overs it may have had. There is no better running coach for you on the entire planet than your own body telling you when recovery is needed. Listen to that coach. Sometimes that 10 per cent rule simply is too much. Sometimes we need an extra recovery week. Sometimes we need to opt for cross training or foam rolling or stretching to fix chronic aches and pains. Listen to these signals and be honest and kind with yourself. It can be a thin, blurry line understanding the difference between wimping out of a long run and resting to make yourself stronger in the long run. But being able to discern the difference and make the call, knowing that one run will not make a runner but it can break a runner, is, I think, the pinnacle of maturity as an athlete. 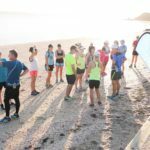 This entry was posted in Training Tips, Uncategorised and tagged athleticism, Hayden Shearman, increasing speed, long run, marathon training, training tips, ultra training. Bookmark the permalink.